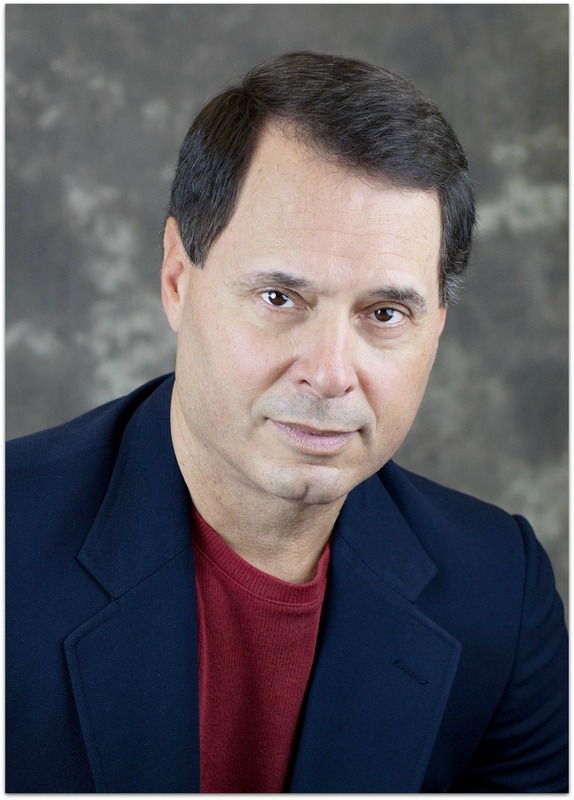 Paul Ferrante was in 2nd grade when President Kennedy was killed. That’s his first real memory. More than 50 years later, Ferrante is a 7th grade language arts teacher at Coleytown Middle School. His students are only a few years older than he was then, huddled around a black-and-white TV “like the rest of America,” he says. Kids today have gazillions of channels to choose from. Rock ‘n’ roll has given way to rap, hip hop, EDM, emo and more. But, Ferrante says, kids still love the Beatles. He includes the band in his poetry curriculum. His students look at lyrics. They watch videos. They talk about the American culture, then and now. When graduates come back to say hi, they ask if Ferrante still teaches the Beatles. So it’s no surprise that the Fab Four are the subject of Ferrante’s most recent book. In addition to teaching, he’s a noted young adult author. His T.J. Jackson Mysteries series follow the paranormal investigations of 3 ghost-hunting teenagers from Gettysburg to New Orleans (with a stop in Fairfield County). 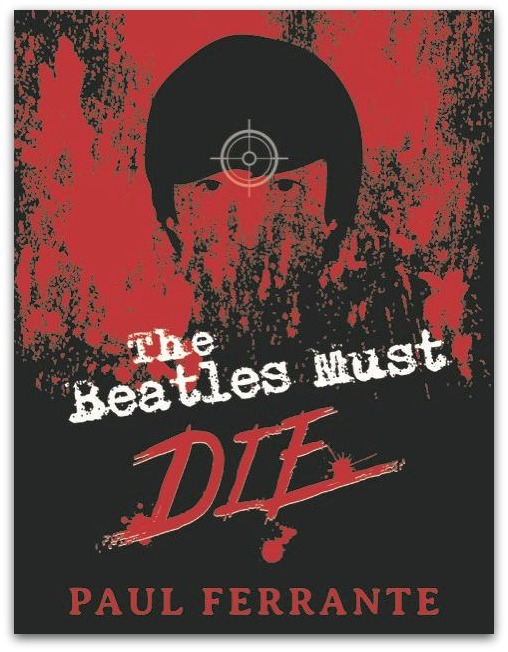 His 7th book — “The Beatles Must Die” — is as different from those mysteries as John, Paul, George and Ringo are from the Andrews Sisters. The novel follows Marnie, a fan in Memphis who must make a choice between the group and her conservative community, after John Lennon’s famous “We’re more popular than Jesus” remark results in banned and burned records, even death threats. 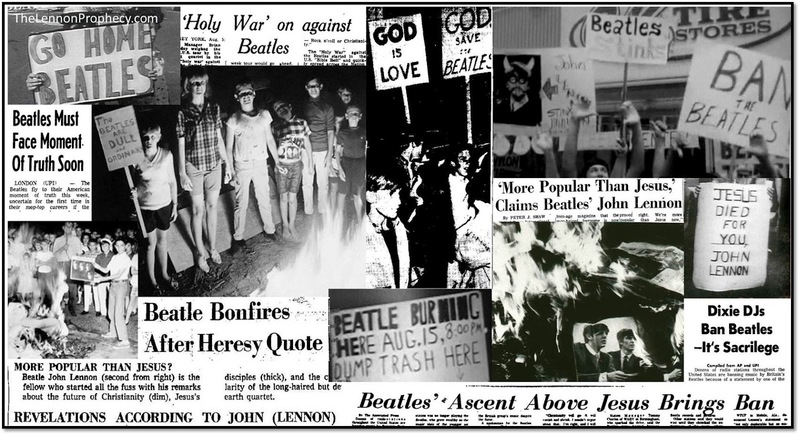 John Lennon’s 1966 “Beatles are more popular than Jesus” quote drew a belated — but fierce — backlash. As Ferrante notes, there are countless books about the Beatles’ music and lives. His is a rare piece of historical fiction, aimed at teens and older readers. Why are kids still interested in the group, whose 2 surviving members are both well over 64? His students are intrigued to hear about a time before the internet, when most families had only one television and music came through transistor radios. That’s why Ferrante — in his 19th year at Coleytown — sees kids in class wearing Beatles t-shirts. He researched his book well. He read books, and watched the “8 Days a Week” video about their tours. Ferrante also gave his protagonist a strong character. She understands the importance of free speech, and the value of sticking up for herself. “I’m a teacher, after all,” Ferrante says with a smile. This entry was posted in Children, Education, Entertainment, History, Media, People, Teenagers and tagged "Beatles more popular than Jesus", "The Beatles Must Die", Paul Ferrante, the Beatles. Bookmark the permalink. Bravo, Mr. Ferrante! One of Westport’s great teachers! !